Tre unga tjejer är på väg hem från en föräldrafri fest-weekend i England när ett naivt skämt på fel plats får oanade konsekvenser. En obehaglig film som tvingar oss att behöva reflektera över vilket ansvar vi har för våra handlingar. 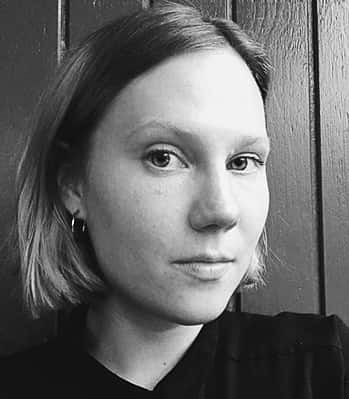 Caroline Ingvarsson, born 1986 in Malmö, Sweden, is a writer and director. Caroline's short film Beneath the Spaceship competed at Toronto International Film Festival 2015. Her previous documentary short, The Dogwalker, premiered at GIFF 2014, was broadcast on SVT and won awards at i.e. Palm Springs Short Fest and Uppsala International Short Film Festival. She holds a Diploma in Screen Studies from Sydney Film School and a Masters Degree in Broadcast Journalism from City University London. It is a coming of age story set in a very special situation one can say. The movie is about how it is to be young and naive, and suddenly thrown into the adult world and forced to take the consequences, and the impact the choices have over one's friendships. As it is based on true events, the film also reflects our era. But primarily, "We were three" deals with a lost friendship.